Find your inner kid again by spending a couple hours in front of a pinball machine! We’re talking classic, arcade games. 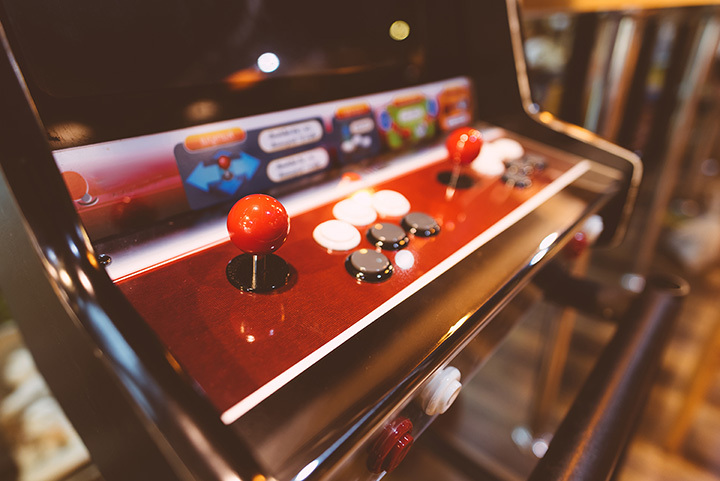 Get the blood pumping, gather tokens and gain a couple wins on your favorite machine games by checking out our 10 best arcades in Wisconsin. Not only is Knuckleheads an arcade, but it’s also a trampoline park and bowling alley! Spend hours in the arcade winning games and collecting tickets with your friends. And when you’re done, pick out a prize with the tickets you’ve won. Another Wisconsin Dells favored arcade lie within the Wilderness Resort. There are three “Mega Prize Arcades:” Northern Lights, Glitter Gulch, and X-Treme Adventure. Try you hand at interactive games and high tech fun for all ages. Plus, they have implemented a going-green initiative by switching to swipe cards instead of tokens and paper tickets. Appleton’s Funset Boulevard is the perfect place to take the kids for an arcade day. They have weekly specials on wristbands and food. Not only do they have a full movie theater mini golf, bumper cars, and laser tag, but they have a over 100 video and arcade games to choose from. Shenanigans, located in La Crosse, Wisconsin, has paintball, laser tag, sports bar and their famous arcade. With over 50 cool prizes for kids and adults, there’s no wonder it’s the most sought out arcade in the area. Their website has a full list of their interactive arcade games for you to do your research. Host parties and save on unlimited play passes at Fun Timez in Franklin, Wisconsin. From the classic machines to shooting hoops, to a fun photo booth to document the day there are plenty of games to keep busy. Rossi’s Pizza is Monona’s hidden arcade gem. While it isn’t the most up to date and technologically advanced arcade spaces they specialize in fantastic food and vintage arcade games. Check out their website to get a glimpse of their games and restaurant! Badger Sports Park is located in Appleton, Wisconsin. They have fun interactive games for all ages in their game room. Their E-tickets transfer to the players “FUN CARD” which they can use to redeem for cool prizes. Vitense Golfland’s Arcade has great prices for the play. There are more than two dozen games in the area, wins gain you tokens and tokens can be redeemed for prizes at the counter. Check out ones of Madison’s best place for arcade play. Another Madison favorite arcade is Geeks Mania located on the west side. Enjoy over 80 video arcade games, 25 pinball tables, and five pool tables. Admission fees are $15 for an all-day adult and child pass. JB’s on 41 is more commonly known for its bowling alley, but their game room happens to be a classic in the Milwaukee area. Take an interactive tour on their website of their game room to check out exactly what types of machines and games they have. Earn tokens and redeem for great prizes later on.